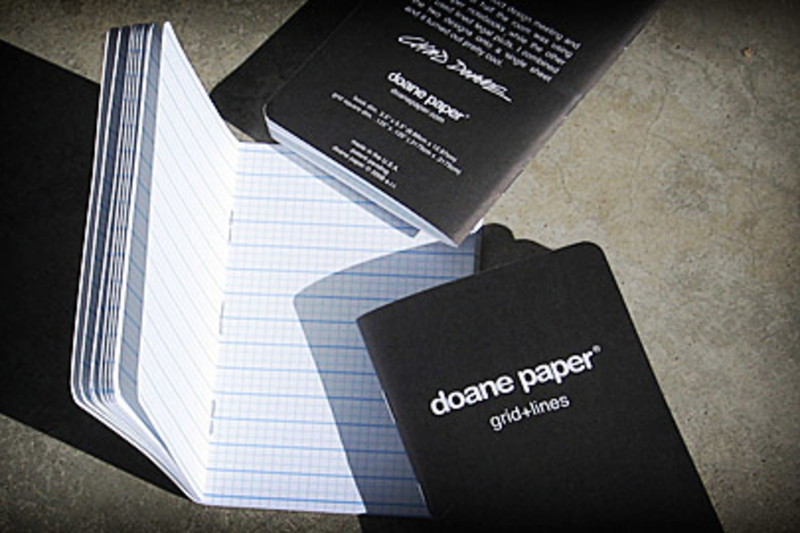 These Doane Utility Notebooks ($10/3-pack) have us shelving our Moleskines for good. Combining the best of both note-jotting worlds, the pocket-size (3.5" x 5.5") notebooks have 48 pages that sport both lines and grids, letting you write reminders neatly and draw up legible floor plans for your Man Cave. The notebooks also have a flexible cover that's great for back-pocket use. 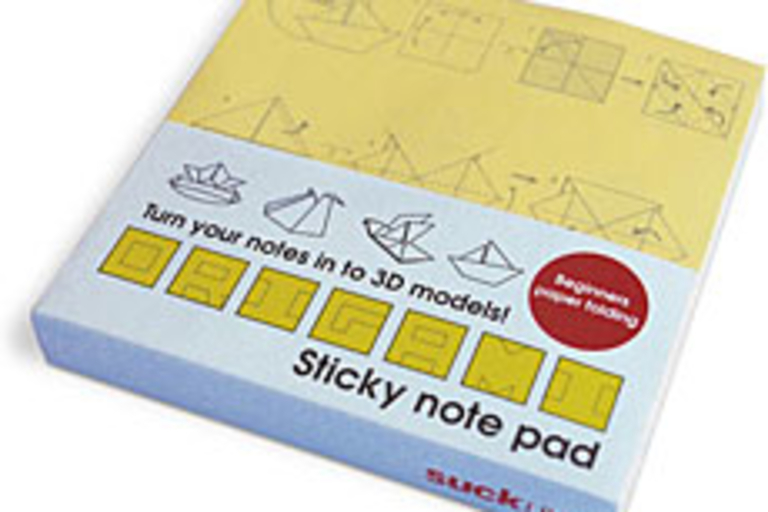 Take your notes into the third dimension with Origami Sticky Notes ($4). Each pad of notes has printed instructions on each sheet, letting you (or your co-workers) build one of ten different origami shapes. Just the way to battle post-holiday dullness at the office. The ultimate geek pin-up calendar is back for the third year in a row. The Nerdcore 2009 Calendar ($25) includes plenty more oversized adult sci-fi-themed photography, along with plenty of important dates, including both regular holidays and nerdy events like Comic-Con, movie releases, anniversaries for major franchises, and more. 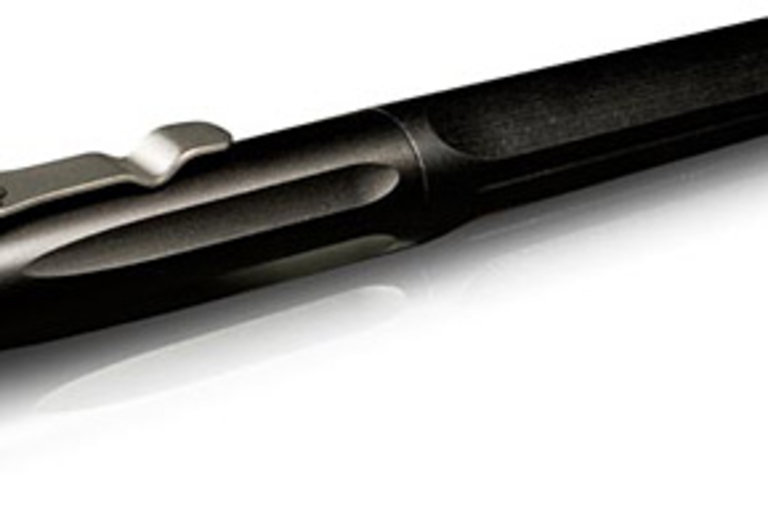 From the makers of the badass, retina-scorching SureFire flashlights comes the SureFire Pen ($125). 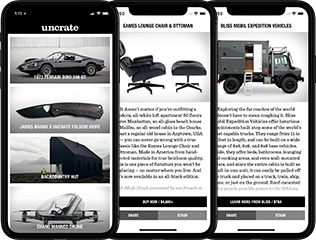 It sports a body made from hard anodized aerospace-grade aluminum with stainless steel on the tip, pocket clip, and the tailcap, which itself features a rounded window breaker — handy! It also comes with a Schmidt Technology easyFLOW ink cartridge, but can use nearly any ink cartridge with a simple adjustment. A virtually indestructible pen that performs great and breaks glass: What more could you ask for? One-piece desks are a thing of the past. 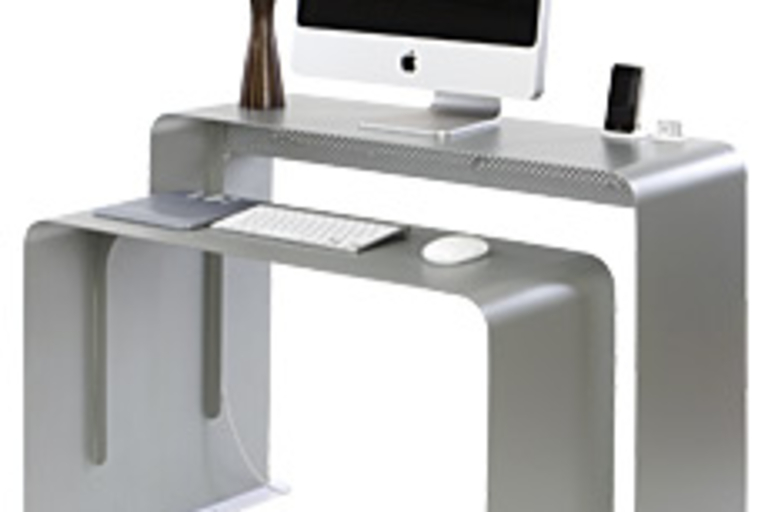 The OneLessDesk ($650) proves this point by utilizing two separate decks to maximize space and ergonomic comfort. The upper deck provides a large surface designed to hold your monitor, docks, and other accessories, complete with intelligent cord management and a hidden shelf to hold large external hard drives, unsightly power bricks, or even a Mac Mini-sized PC. The lower deck, which at 25.5" tall slides perfectly underneath the upper deck, provides an ergonomic work environment, with space for your keyboard, mouse, and other hands-on tools. The best part? It looks even better than it sounds. 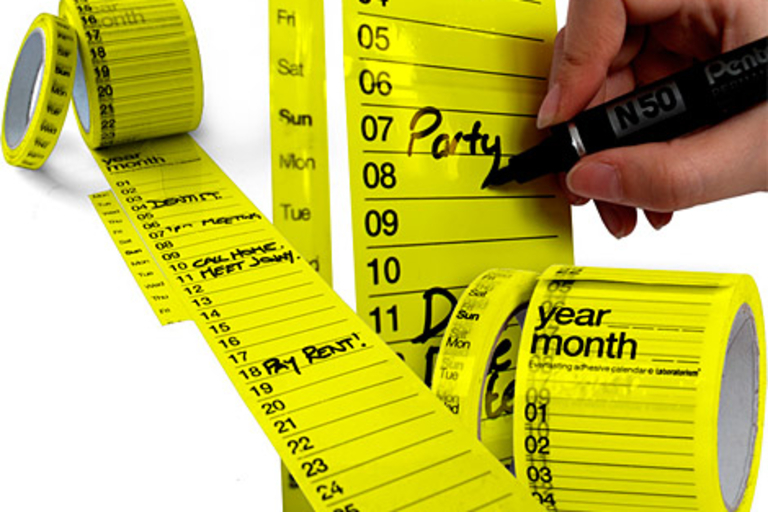 It's about time someone combined a calendar with the satisfying pop of bubble wrap. 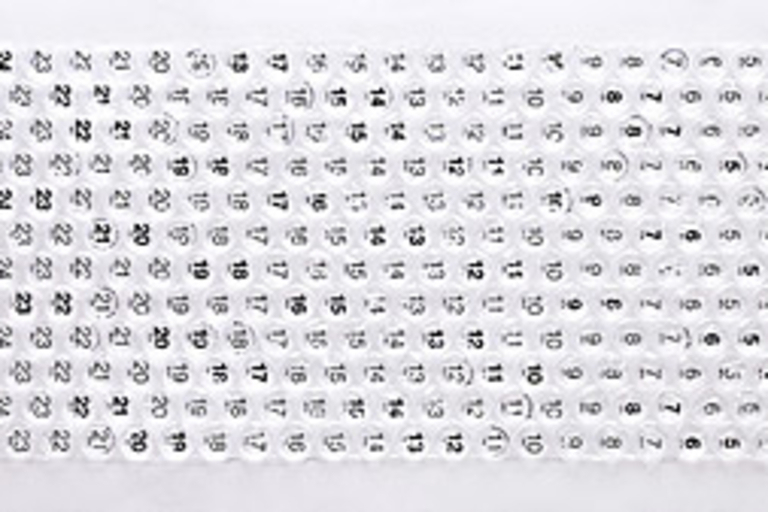 Set in spectacular Helvetica Neue, the Bubble Calendar ($30) is a 48"x18" mammoth that features a single bubble for everyday, letting you mark the passing of time in the most fun way possible. Days of the week and all major US holidays are marked, with weekends bolded for quick reference — as if we need reminding.